Catherine, a mathematician like her father, dreams that her father gives her a bottle of champagne for her birthday while talking about the nature of insanity. Her father died the week before and the funeral is set for the next day. Hal is her father's former graduate student. He's in the house going through her father's books determined to mine through the notebooks for more genius. He tries to leave with a notebook but Catherine finds it and throws Hal out of the home. Catherine struggles with her sister Claire who is vastly different from Catherine and takes every opportunity to criticize. Catherine is bitter and remembers all the years of caring for her mentally ill father alone while trying to further her studies. Catherine might be battling with her own mental illness as well. 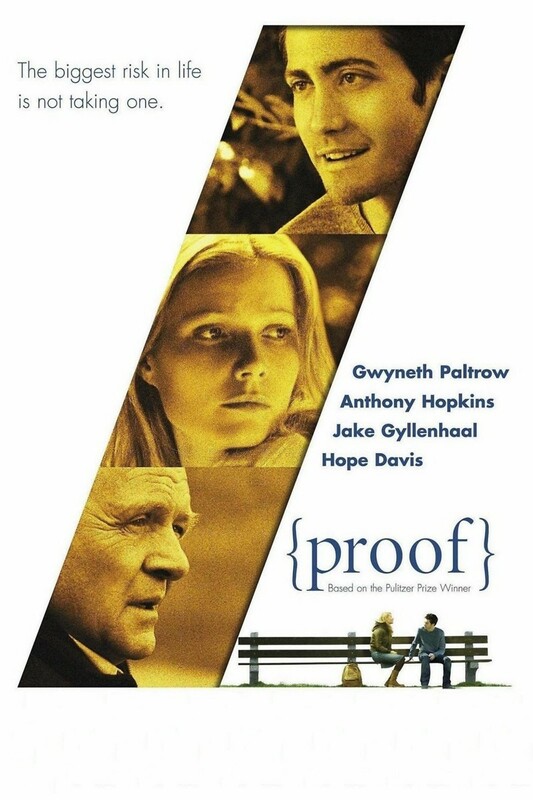 With the help of Hal, she breaks away from her sister's demands and figures out whether the proof Hal has found is her proof or her father's.